Comprehensive Group Health Plan – Residents are thrilled about this benefit as it provides each resident excellent Health Care Coverage with a FREE premium. An even greater advantage is that the spouse and/or children of any resident with family receives a FREE premium as well!! 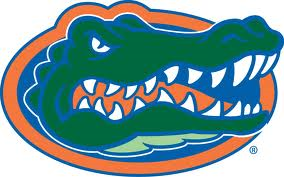 Gator Dental Care – The UF College of Dentistry provides a reduced Dental Care plan for House Staff in the UF Resident’s Priority Program. Baby Gator Child Development Center at Newell Drive is a popular resource among faculty and residents at UF. It was established as a partnership with the Colleges of Medicine and Public Health and Health Professions. Faculty and House Staff with children ages 6 weeks to five years of age are eligible for a tuition subsidy of $250.00 per month per child. Book Allowance– Residents have the opportunity of receiving a $200 book allowance each year, which can be used for the purchase of educational books or journals. Travel– Opportunity for educational conferences and presentations is available. Upon approval, residents can receive $400 in travel reimbursement. Moonlighting- Many residents are thrilled and excited with the opportunity to bring in additional pay during residency through moonlighting! PGY 3 and 4 residents have the opportunity to moonlight per approval of Graduate Education Committee and a Florida Medical License. Moonlighting is internal at our Shands at Vista Site.